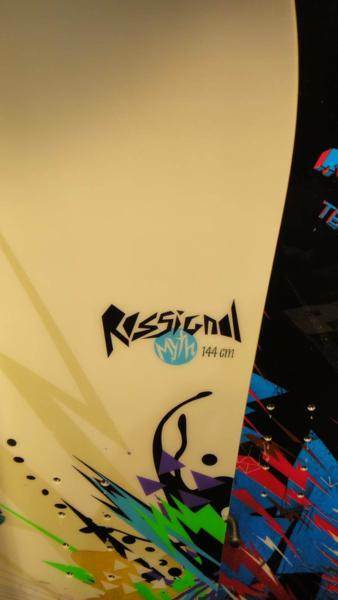 The Rossignol Myth is almost not even a hybrid camber board because it only has a tiny bit of camber between the bindings. The camber underfoot is mainly to provide more stability and it makes it a pretty good board for those that want an entry-level mountain freestyle ride at a lower price point. It’s great at making short to medium radius skidded turns and a very forgiving ride. Bindings: Union Milan and Now Conda Bindings. Side note on the stiffness of the board, I realized later that with the combination of the board and the NOW bindings, the bindings probably made the board feel stiffer than it was. So would probably be easier to butter with a different binding set up. Flex/Buttering: 4/10 on the Rossi scale. Wish I would have tried it with a more freestyle binding set up. But should be easier to butter than I described in the video review. Turn Initiation: Fast turn initiation with how much reverse camber it has there’s not a lot holding you back from making the turn so it’s quick to maneuver. Turning Experience: It’s a good beginner board for turning, it’s not super lively and doesn’t encourage you to catch an edge which is great for learning. Carving: Average for carving, it is more of a skidding turns type of deck. Speed: Good at medium speeds, not a hard charger. Uneven Terrain: Rides well on uneven snow and chunder, you can kind of just float over a lot of bumps and divets as long as the snow is medium to soft. Powder: Would be ok in the powder with the reverse camber to help you out, but it is a true twin so there’s not much room for set back on board. Jumps: Feels good on jumps, wouldn’t be my number one for big jumps but does great on small to medium size features. Jibbing: Fun on boxes and rails, would be a good board to learn jibs on. Pipe: Rides ok in the pipe but not the best option if you are looking for a serious pipe board. 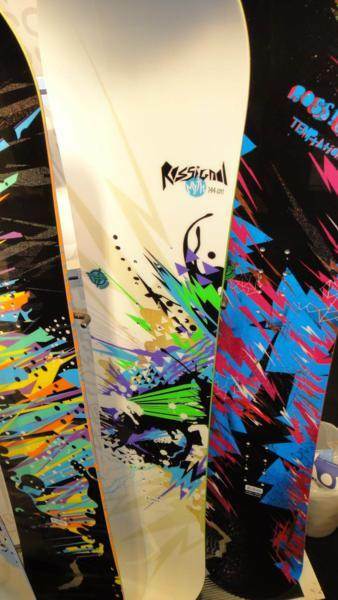 So the Rossignol Myth is new this year. It takes the Tesla and Twins it up for entry level park riding. It’s also slightly softer. The Auto Turn hybrid camber is mostly rocker with just a little tiny bit of camber between the feet. It’s hard to even see it from certain angles. It’s still rather stable between the feet compared to continuous rocker and many hybrid rocker boards but it’s still very loose. This is a great entry level park board that can handle help you learn anything you want to try in there. For 299 it’s a good ride but if you can go up in price the board stops comparing well. 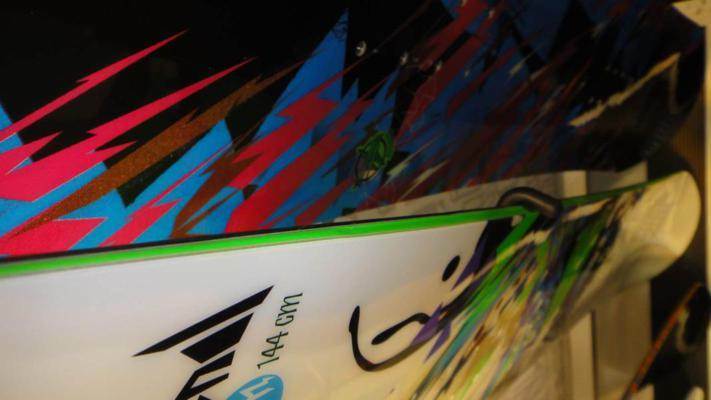 Lets just say it’s one of the better “stop renting” freestyle boards you can get your hands on. Other than a few minor tweaks the Myth hasn’t changed much over the years. We try to get as many images of the Rossignol Myth, but forgive us if they're not all there.